10ft lorries are one of the most common lorries seen on the road and is also the smallest lorry of our entire fleet. 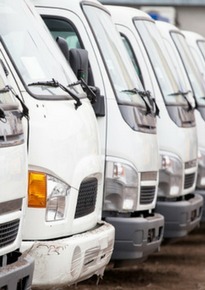 The capacity for the lorries are typically about 1 ton and they can be used to transport light goods or small equipment. With a canopy, the lorry can also be used to ferry workers between worksites. Rentalorry has a really good maintenance and servicing team. That is why i continue to get my vehicles from them. The staff were really helpful. They came down to our office to see what size of vehicle would best suit our needs before making a recommendation. If you are unsure what is the best 10ft lorry to meet your needs, just drop us an email with the necessary details and our staff will try our best to make the best recommendations. If your company requires daily transportation, renting a 10ft lorry and hiring your own driver or becoming your own driver becomes a cost saving method as the longer the rental period, the cheaper the rental cost. There are also numerous other benefits of leasing. Suitable for companies or household who are looking office relocation or house relocation. These 10ft lorries are perfect for the transportation of washing machines, ovens or refrigerators. In addition, the 10ft lorry rental service can be used if you have your own manpower or even if you need our moving services. You don’t have to pick the lorry up or worry about having the right license. Our drivers will bring the lorry right to your door step and wait for you to load on your stuff before we bring you to your destination. If you are worried about moving your precious valuables, we can provide wrapping and packing services for your more delicate possessions. For the simple transportation of light goods, Rentalorry provides quick one way transport for items that simply cannot fit into your car or van. We provide both ad hoc deliveries as well as contract deliveries for customers that require the delivery service over a longer period of time. Quickly and efficiently, our driver will bring the vehicle to your pick-up point and you can quickly load on your items before we bring it to your desired destination. A simple no-frills transportation. If you think that the 10ft lorry is too small, we have lorries that are in larger in size and also have a larger capacity. Check them out here!